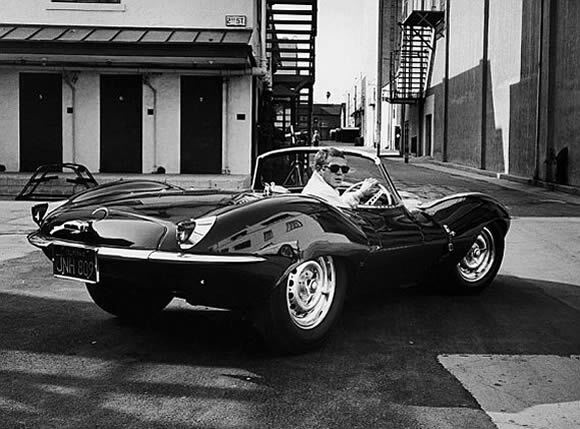 As far as beautiful cars go early Jaguar's are almost always on sexiest top 10 car lists. This one however is more special than most because it is an actual Le Mans race car lightly modified to drive on the road. The D Type Jag won Le Mans three years running and to put them on the road all Jaguar did was; fit a passenger door and seat, make a canvas top to keep out the weather, install a windshield, remove the huge vertical rear fin, replace the head lights, and the cherry on top, add a bit of chrome. The motor is a 3.5 litre straight six with triple Webers that was good for 250hp and able to push the XKSS up to 185mph on Mulsanne Straight and 150mph with Steve McQueen et al on the road. You can hear the motors potential in the video below. Steve added a lot of points and lost his license in his XKSS proving even stars can't get off all their tickets. A beautiful, winning car from a great time. What exactly is your point posting a private video????? Thanks for pointing that out. It has only just been made private.